The week started off fast and furious as work was dominated with the organization change happening that were facilitated with meetings upon meetings to talk about what’s changing and what’s not changing. To add to the tension, Jackie and I were also working on a secret projects where we’re getting slammed with new engagement requests left, right, and every which way. I had previously planned to be out on Thursday and Friday from my 9 to 5 job and attending another workshop, which meant a shorter work week. It’s okay as I’m working towards my end goal, and if I were to leave my job, the work I would walk away from would continue and would be handled by someone else more capable than me. At the tail end of my short week (Wednesday), we were given a blow by one of our product owners in that he was taking a job outside of our company, meaning the momentum and traction one of my teams were finally getting could slip as the PO role is critical in driving solutions. Now prior to the unexpected announcement, there were plans to merge my two teams as it logically made sense based on the services provided for both teams. To this end, I had created the transition plan that merged the two teams over the next three months. All the reorganization that I had laid out for the two teams had to be reworked so that the transition took place with only one product owner. Change is the constant in my life. Luckily I finished the first draft of the new organization by Wednesday and we would just tweak it to begin merging the two teams into one. That was something we had already planned to do, but we now have to escalate the timeline to within a month as opposed to having the team’s merged by beginning of the fiscal year (June). By Thursday morning, all the turmoil at work was all behind me as I was refocusing my energy to my new venture. It appears as I progressed to the next training levels, the number of attendees were fewer than the last workshop, in where had close to 80 folks in attendance. This past weekend, the number of attendees were 11 folks where 8 of them made up husband and wife teams, leaving three single folks including myself. The learnings taken from this workshop delved deeper into the mechanics and processes of running the business. My only disappointment was most of the information was theoretical and ‘how to’ and left me wanting more of the actual doing. Also we only walked through the sample exercises once and I, as well as most of the other workshop attendees, wanted to run through the process a few more times. I’m ready for non-theoretical and more into the physical act of doing something concrete that results in an actual transactions. I don’t learn by telling me what to do, I learn by doing it. Now I’m not saying the three day workshop wasn’t worth it, I just wanted more. The workshop went by too fast and I can say that for the exercises I was forced to do, they did the job and pushed me out of my comfort zone, which meant I grew, learned and performed things I typically wouldn’t have done. Learning the traits on how to be successful in a new business is always great when taught by folks who have pioneered the roads before me. I’m excited and scared at the same time, which is a great motivator. I just want it faster. After the workshop, I was off to S’s house to spend the remainder of the weekend with her, who of her kids were around, and the last minute planning. I had planned for staying through Sunday night which meant i would be commuting to work from her house on Monday. Part of the weekend plan were to also go to the beach, but was dependent upon her children’s schedules. Since it was the beginning of spring break week, her children’s practice schedules were postponed until after their break. We also talked about planning out the various house projects she wanted to do in her backyard, front yard, and the interior of her house. However, since it was spring break week and her daughter wanted to go to the beach on Sunday, regardless of the weather forecast, there would be little time for deep project planning. So high level planning was all we could squeeze into the already tight weekend schedule. S also needed her younger son to get his essay completed for his summer trip to NYC, a great opportunity I thought for him. So maybe the weekend would be staying local to get things done. Saturday night was thankfully low key in that S, her daughter and I went out for dinner at a local restaurant. Her oldest son met and joined us, but her younger son decided he wanted to play tennis with his friends. It turned out it was an actual practice that he neglected, or intentionally omitted, telling his mom. Nonetheless it was a pleasant evening dining out as the two children who dined with S and me get along well with each other. At one point after dinner, her oldest son laid his head on his sisters lap with no fireworks. If it were the youngest, there would be WWIII. The after dinner plans were debated between mother and daughter with the daughter winning, as is the case when I’m there and when they are civil to each other. Her oldest took off and hung out with his friends so it was only the three of us who went to the local cinema and watched the clever, comedy, thriller called “Get Out”. Unfortunately, the civil communications with her youngest occurs few and far between. The next day’s plan were to postpone the beach trip until noonish so that S could help her younger son with his essay. As always, the conversation between S and her younger son became explosive as her normally lazy youngest teenager didn’t want to work on his scholarship essay. So fireworks ignited and violently exploded in the form of harsh language exchanged between her and her youngest child, which I should be accustomed to by now. But Nope!! I’m not. I don’t think I would ever get acclimated or accept the attitude her younger son exhibited to S as it’s very different than when I were his age. I know he’s angry at something and he doesn’t know how to articulate it. The two of them are very similar and highly emotional and stubborn that neither were willing to concede. So off to the beach we went without her son as S needed some distance from him. After picking up her daughter’s friend, we decided to eat breakfast before we headed to the beach. Now prior to leaving s house, S found a person on Craigslist that was selling flagstone pavers. 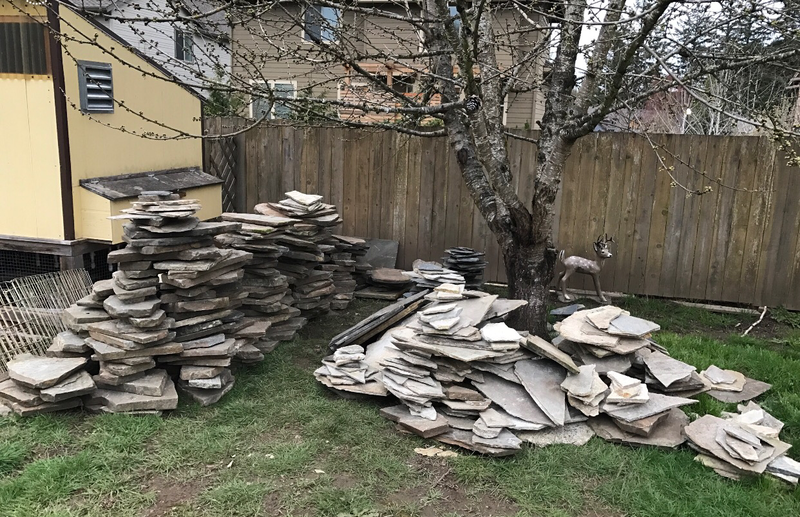 S was able to negotiate the price and our plans now included a trip an hour south to a city named Eugene, OR to look at the pavers, which would be used in her front and back yard projects. By 3PM, we inspected the massive amount of pavers (about 8 pallets in total), paid a deposit, arranged a midweek pickup if the pavers, and were headed to the Oregon coast, mainly so that her daughter could put her toes in the chilly water. A few hours later, we reached Nye Beach, OR, where there were beach access. Normally her daughter would plunge herself in the chilly Pacific Ocean, but not this trip. I’m from Texas and couldn’t imagine the thought of plunging myself into any water colder than the balmy waters of the Texas Gulf Coast. We had just enough time to stop in the Nike outlet store in Lincoln City before they closed. To fulfill her daughter’s request of watching the sunset, we ate dinner near the ocean that had a view of the sunset, then took her daughter’s friend home, and then drove back to S house all before 10PM hour had begun. After making and sipping my evening coffee (and yes coffee at night doesn’t affect me), I went upstairs to get ready for bed. Her daughter was already upstairs, showered, and locked away in her bedroom, which I’m understanding is the typical teenage girl these days. I calmly reminded her of my job as a project manager and that I always have to adjust my communication style in order to keep projects on a forward momentum. She became quiet and sobbed more. I held her as she cried. She held me back. The Monday commute from S’s house have become a weekly routine for almost a month now. Which is fine as my commute have been uneventful and provided a calm picturesque scenery through the countryside, especially as the sun shines on the awakening farmlands and rolling hills. That’s until I hit traffic forty minutes later as I entered the first of the bigger towns along my commute called Forest Grove, OR. Parenting is tough for both the parent and the child. However, I think single parents have it tougher. I should know as I was a single parent for almost 5 years after my first wife passed away after losing her fight with cancer. It’s sad to see families go at each other when you know the root cause is hurt. S’s youngest son is longing for his dad who isn’t supportive and not really present outside his court appointed weekends or Wednesday afternoons. I’m hoping they both get therapy soon before their relationship becomes insolvable. I’m glad that I the calm in their lives. Week 11 was primarily still focused on the start up of my new project as the ramp up phase is crucial (and the hardest) to making any venture successful and also because it is the exciting part. They say that when you are able to see your dreams come to reality, it’s time to jump in and fully commit. I’ve envisioned myself doing this for a couple of years now, but the timing wasn’t right. However, the timing is now right and so now it’s happening. I can’t wait to share it completely. Now because I’m spending time focused on my new project, my other project (my food blog) has taken a short hit in production where I’ve only made one of my dishes in the last two weeks with the camera rolling, and I still haven’t got the video ready for production yet. Once I get beyond this initial state of starting up my second venture, the cooking blog will return to its normal release cadence. Or, maybe I’ll hire myself a personal assistant and they can work on video production (haha), but on second thought why not. I’ll put that thought on the back burner. Another wrinkle is stuff happening at work. On Tuesday, Jackie came by my desk and informed me she had to make a decision on which career path she would be taking as she also informed me that our department is being reorganized or “rewired” as I guess that’s the new buzz word. I’m supposed to be told about the org change later in the week and was instructed by Jackie to act surprised as she wasn’t supposed to say anything. Sure enough, my boss came and sequestered me and him to a closed door session a few days later where he informed me about the org change. I wasn’t supposed to know so my practicing of being surprised paid off and was apparently spot on. Or at least that’s what I’m telling myself because my boss literally asked, “Oh, you didn’t know?” after telling me about it. Short story, I’m supposed to report to a new manager whom I’ve never met before and who doesn’t know me or the other project managers she’s acquiring in this org change. The change is effective on 3/21. They say everything is supposed to stay the same, but do they really? I’m anticipating maybe nothing will change until the first of June as that is when my employer starts its next fiscal year. At that point I’m anticipating a huge change in the direction of where my career path would go as the group of project managers being rewired is a hybrid bunch in that we also manage scrum (iterative development) teams. Most of us hybrid managers are responsible for multiple projects and for multiple teams and a few of us also act as product managers in that we tin cup any new request by securing additional funding. 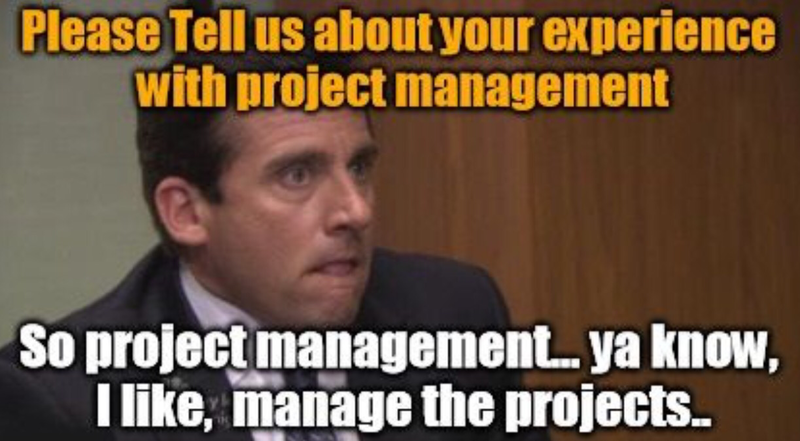 So we’re not the normal project manager, or the typical scrum master, or the run of the mill product manager. We’re all three (and then some) all wrapped up in one. So it’ll take some time for management to figure out how to handle our small group of multi faceted PMs. Maybe by the first of the fiscal year, my second venture would be mature enough to give me my exit option, which is much sooner than I had anticipated, but if the timing is right then the timing is right. I guess I’ll really need to think about hiring a personal assistant, but that’s many weeks away at this moment. Of course the rest of the work week, it was hard focusing on actual work as now the looming org change was coming right around the corner and the rumor mill was rampant, which pushed me further from work mode for the remainder of the work week. Now I do a very good job of not mingling my personal endeavors during business hours, and I’ve given up my lunch time many times to complete work, or work in preparation for afternoon meetings. The lunch hour is personal time anyway so, for this week, I decided to forego using my lunch hour for work and instead use it for my personal project. I’m glad I did as I’m better positioned for the work I have to do the weekend of week 12. During the week, S was doing her own thing which was good. For the weekend, we decided that I would spend the Saturday night and Sunday with her. On Saturday day she would be doing a back to back 5k run/walk with her girlfriends. Originally we were to meet up at her house afterwards and have a low key dinner with her and her kids. The results of our Friday planning session was now on the verge of being altered as another option surfaced during the day. I could still cook dinner for her girlfriends and their dates, or we could go out for Saturday evening and have the low key dinner on Sunday. I voted on option one, which was to go out for dinner on Saturday night. I chose this as it was the best option and it gave us time for more interactions with her girlfriends and the dates. Otherwise, I would have been stuck in the kitchen cooking up food and S would be complaining about not having everything done at some imaginary time in her head, which if I had help from her it wouldn’t be a problem. But cooking solo for 16 people were not my idea of a fun Saturday night. Since Saturday became the dining out night, we changed plans for Sunday dinner to be our low key dinner with kids and now her mom and dad. The revised plan was to attend her daughter’s bowling fund raiser event, where apparently her ex and his wife would also be in attendance, and then grocery store for buying ingredients for dinner. But of course any revised planning with S is always subject to more change. Since the twins were with their dad on this weekend, their dad would be bringing them into town earlier than normal on Sunday so that they would attend their daughter’s fund raising event. At the event, S and I didn’t really mingle much with her ex as there were twelve of us on two lanes and we only had an hour and a half to bowl. He wasn’t that social either as we only chatted a few times during the bowling event because he would mostly sit down next to his wife (kids’ step mother) after his turn to bowl had completed. Also, I only spoke to his wife a brief time after the event. Maybe they were unsure how things were but maybe that’s their nature when they’re out in public. So I could see why S and her ex were exes. After the bowling event, S and I split directions as I needed to shop for dinner (for our small gathering of seven people) – us, her kids, and her mom and dad. I don’t just cook for seven, I’ll cook for more than the number of folks as I don’t like my guests leaving hungry and wanting more. I think that’s just the Asian culture, which is completely opposite of how S is as she would only cook for herself and her kids. Her kids don’t eat her cooking much these days, so she mainly cooks for herself and rarely makes extra as her kids are picky eaters and would only eat her cooking if they like it. And S isn’t one that would make food that her kids love so there’s contention at dinner time as well with heated conversations containing phrases like “there’s no food here!” followed by an even sharper retort of “there is but you don’t like it” and yada yada yada. Since I’ve been staying on weekends and staying thru Sunday night, I usually cook which the kids eat and don’t complain about my cooking. In fact they make it a point to be there for dinner, which makes S a bit jealous but actually I think the kids like me cooking and I’m glad they are eating. So not sure why there is so much issues over the dinner table. Just make food your kids would eat. That’s another item filed in my mind about my relationship with S.
It turned out that the small family gathering of seven mouths became 12 as S invited other folks to come over. I’m glad I purchased more food. I feel that life is where it should be for me as I’m able to work on my personal projects, hold a good paying job, have personal goals that I’m bringing to fruition, and involved with a lady that for the most part has a good heart when you take away her mean demeanor and tone she has with her youngest child and her parents, and her emotional roller coaster ride she takes me through every now and then, and her selfish nature when it comes to food. I find those things are caused by her own baggage, and I’m not here to change how she handles her baggage. She’s the only one that could change that, and only if she wants to. I think I’ve learned to have more patience, especially when dealing in her emotionally charged atmosphere, which I’m finding harder to deal with than my business start ups. This week was all about pursuing my pet projects and getting the next phase underway, which meant I had intentionally chosen to spend little time with S. Not only was I still recovering from the verbal assault in week 9 from her overly emotional episode and “slip” of using our pre established safe word ‘macaroni’ that allows a clean exit from our relationship without explanation or recourse, but I also was focused on my exciting new venture. I’ve put thinking about S and our relationship on the back burner for this week as I’ve got to focus on my second project, which is more exciting than my first venture for 2017. The first one is a food blog which I’ve mentioned in prior postings and this second one will remain under wraps until it grows legs and actually begins moving beyond the research phase. Reason I’m keeping it quiet is more about me continuing my focus because as I tell more folks about it, there will be more opportunity of that idea being shot down which eventually leads to me being discouraged. Now I’m not saying people would do that intentionally, but I think our human nature kicks in and tries to protect our friends (or just people in general) from doing things that are new and not someone like me would do. It just opens up unsolicited doubts. In the past, I also have found in passed times when I’ve spilled the beans prematurely, people air bomb unfounded opinions based on hearsay instead of experience, and I’ll listen to that unfounded opinion. Before long I find myself with doubt and give up trying. 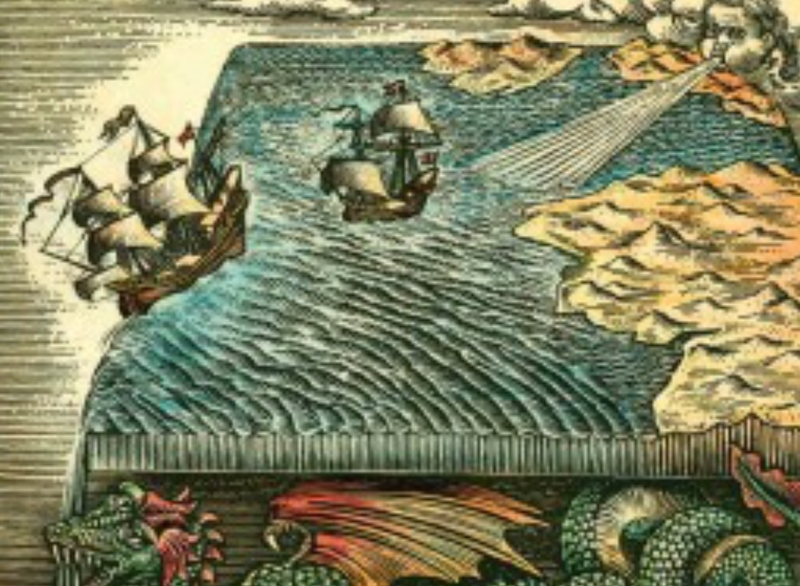 Imagine if we had lived during the 1700s when a lot of folks thought the Earth were flat. Its a good thing Christopher Columbus didn’t listen and proved that unfounded opinion false. Today for me to remain focus, I ignore the helpful naysayers, and like most risk takers, I don’t say anything until I have something tangible to show and/or when I have a nice story to tell. I probably will be like this the rest of my life as I like to explore and learn new things even as I’m getting older. After all, I’m only a young 52 year old. Colonel Sanders was in his 60s when he started his franchise. As I’ve mentioned before, I’m looking for opportunities to reinvent myself and find something that would launch me into a different area and away from my comfort zone. So my second project is in the research phase of the R&D cycle. To this end, I took Friday (of week 9) off from work to push myself into my next ‘unknown to me’ project. To help jump start my new venture, I found a workshop scheduled for that day in Salem, OR, which required me to actually commit to securing a hotel room near the conference which also meant that I sequestered myself away from distractions (including the very emotional life of S) and fully immerse myself into my project. In fact, the conference was for three days beginning on Friday and going through Sunday and focused on learning and understanding my new project from folks who have explored and discovered a world I knew nothing about. So my risk is a little minimized as there have been others who have gone before me. Like most business ventures, you get out what you put in. I was tired but excited of the new road ahead of me by the time the last day were winding down. Now because the conference were three days and the days were over the weekend, there was little interaction with S and any interactions were limited to very short texts during the day and brief phone conversations at night. This was partly because the conference required homework for the next day’s sessions. 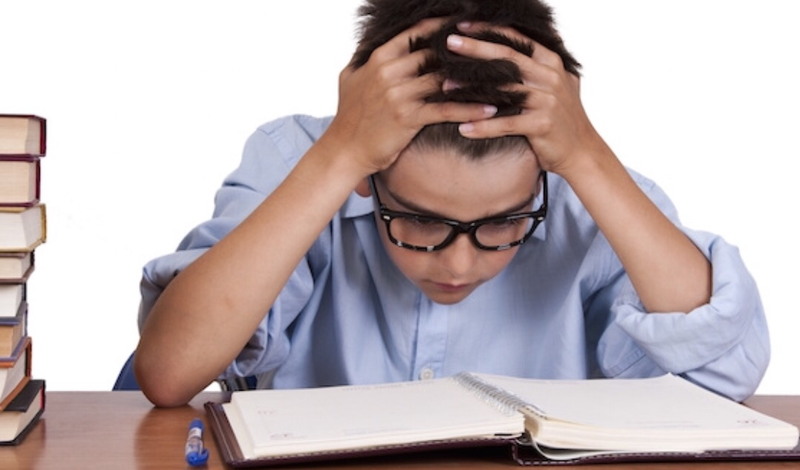 It’s been years since I had actual homework and I found it tiresome yet invigorating at the same time. To clarify, the homework was more of things like personal introspective and the exercise of mentally committing to what lies ahead of me should I choose to continue with this project. Like with every new venture, there is rampup time to get acclimated to the process and mentally commit to the work is the most challenging. I’ve always said: “where the head goes the body follows”. Now I usually say this as I mentor someone about leadership, but it’s also psychological when you take on a project. I’m all in mind and soul. I’ve found (for me), fear of failing is a bigger driver than the financial outlay of getting a venture up and running. A lot of people are opposite that approach, but I figured if I did the right thing and treated people right, the money will find its way back to me. Now of course I wouldn’t take on pro bono projects as this is counterproductive to my goal of retiring younger than what most Americans do. For me, my drive has to come from some pressure, which means I got more of my skin in the game (risk) which in turn drives inspiration and motivation. I also set time limits, which reduces if not completely eliminates this fear of failure. But that’s just me. On Sunday night, once the conference let out and things were wrapped up, I drove home via the direction of S’s town, as that was the most direct route to my house and it was the route that avoided the Sunday traffic on I-5 with folks returning from their weekend excursion and traveling back to Portland metropolitan area. The back roads gave me peace of mind and the irritation of being in traffic. Once I was on the road and closer to S’s small town, I texted her to see if she were home. I knew she would be picking up her kids from her ex around this time and I was hoping she wouldn’t be close to her house so that I could just simply squeeze through her town without stopping. It turned out she was minutes away from her town and we would arrive about the same time. I couldn’t lie (well I could but karma comes back and delivers a consequence I would rather not experience) so we met at her house and I stayed long enough for a quick Sunday night dinner. No argument between S and me, but there were the usual tense moments with her and her younger son, as was their normal back and forth bantering. I ate and left shortly afterwards. The rest of the week were back to the normal grind with work, but filled with excitement as the work day ended because I get to work on my second 2017 project at night. There were still lots of work to lay down the foundation. The weekend of week 10 were spent with S in her life with teenage children who are active in sports. I had a hard time of not thinking about my new project as what I really wanted to do was to work on my new project so that the momentum would continue and also because it’s exciting. I’m a serial entrepreneur and love the thril associated with the startup phase of projects. There’s always a ton of energy that goes along with that initial phase. I guess, the phase of my relationship with S is where we are settling into more of a routine in that I spend each weekend with her and her kids instead of spending of every other weekend. Now there are times (like the weekend of week 9) where that didn’t occur, but those are becoming more rare. The weekend of the 10th week was our norm. 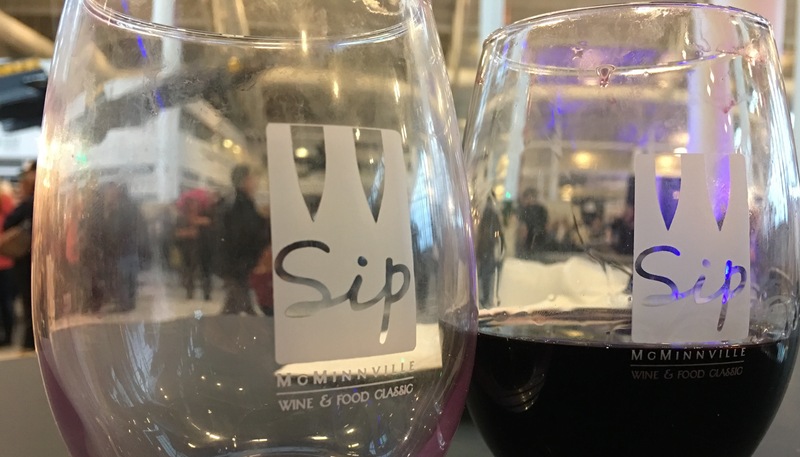 On Saturday, S and I had planned to return to the annual McMinnville SIP, which I wrote about last year and is a wine tasting event held at the Evergreen Flight Museum. This year, we were more prepared and sampled only the wineries to which we hadn’t been wine tasting. We also wanted to try a new food vendor as the food we ate last year from this event was not good. 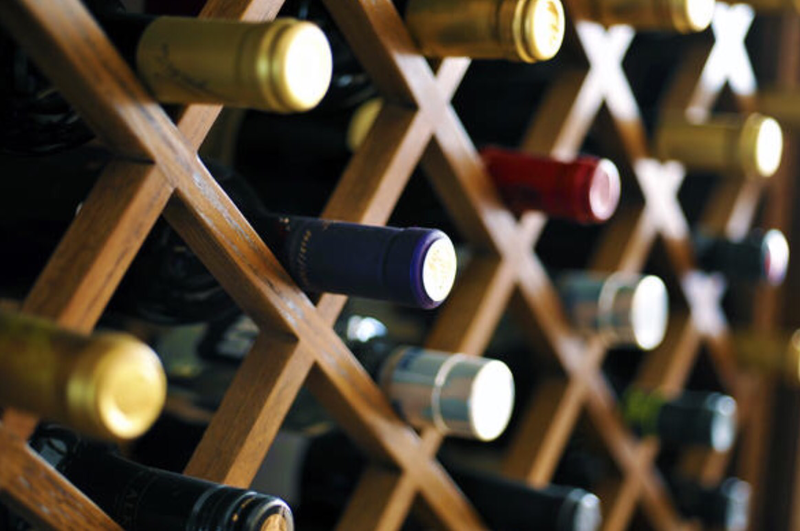 Long story short, I spent nearly $1000 (slight exaggeration as it was closer to $900) on wine, and the wine were for her wine cabinet as well as her wine cellar, also known as her under house crawl space, because it’s literally a crawl space. It’s not like I couldn’t afford it. It just felt that I was expected to pay. I think the total money spent on Saturday was in excess of $1200. The next day was her typical grocery shopping and I didn’t even offer to pay. Of course it wasn’t that much (under $200), but I quietly refused (by not pulling out my wallet). We all go through life wondering if we made the right decisions with our relationships, careers, or what have you. I’ve learned (and I’m still learning) that sometimes life always gives us lessons as we choose paths on to which we travel. Sometimes those lessons are immediately thrusted upon us and sometimes those lessons come much later down the road selected. …or maybe I’m just a tightwad. Until my next post, be safe online as well as offline. Thursday of the 8th week was my birthday and if it weren’t for Facebook, no one in the office would have known about it other than my friends who hangout together on non work events, and who I have a pact with to not express birthday wishes openly at work. I was anticipating a nice quiet evening alone and just working on my pet projects, which is exactly what I did. It was awesome being productive in my own quiet space with no parties, and no one to entertain, or forced to drink wine, or what have you. Don’t get me wrong. I throw a home party at least four times a year, attend several parties at other times of the year that I’m not hosting, and hang out with friends and coworkers at an occasional happy hour. I just don’t like the attention of a party specifically for and/or about me. That’s just the way I’m built. Friday of the 8th week, I took off from my 9 to 5 day job because I had to prepare for a Texas style BBQ at S’s house which we planned many weeks prior. The plan was for me to bring down my Weber charcoal grill and we (and that translates to me) would be grilling some South Texas style fajitas (beef, chicken & shrimp) along with all the fixings, or as we say it in the South, “fixin’s”. Friday afternoon (around 3pm), I texted S that I was on my way to her house. I had originally thought that I would be leaving earlier but that didn’t happen as I had to load my BBQ pit in the bed of my pickup truck, pack the food I had, and my grilling plates that make your food sizzle as you bring the food to the table (as she didn’t have these kitchen items). Of course in her head, I should have been there sooner but let’s don’t jump there just yet. I received a text from her about 4pm asking if I were already at her house to which I informed her I wasn’t but that I was in the area. I also hadn’t eaten since earlier in the morning and was a bit hungry so I stopped off to get a small bite to tide me over until supper, which I had thought would be spent with her children as this was her weekend with her kids. “Hmmmm,” I thought to myself, “did I miss something?” I checked my handy planner calendar and nothing was written in the square for Friday. I checked my online calendar and nothing was on the online Friday calendar that I use and sync up with after work activities and other social events. So I texted her back, “What event? I have nothing on my calendars.” Oh boy…that was enough kindling to light a fire. I get a text, “Are you kidding?” And immediately after receiving that text my phone was buzzing with my caller ID showing it was S. I answered in my normal quirky greeting, “Weeellll heyllo”. Her typical response would match my quirkiness, but that didn’t happen. I of course truthfully answered, “No. What event were you referring to?” Silence then sniffling followed shortly afterwards. At this point she continued without telling me about the event and went into a different tangent about her being my secretary and yada, yada, yada. After another five minutes (or so) of her venting, crying, and becoming an emotional wreck, I again politely asked about tonight’s event. Finally she told me and I replied, “okay…that sounds like fun” and left it at that thinking her displaced anger would decrease and vanish. Nope. Of course not. It lasted another few minutes until she reached her house where I was already parked in her driveway and waiting for her to arrive. Now S and I had talked about a soirée in a nearby local town with her coworkers and friends, which I helped purchased during a fund raiser event, and to which I didn’t put in my calendar for this Friday night before the Tex-Mex themed party. Luckily her mom was there to shield me from more tounge lashes. I had thought the time she spent upstairs getting ready were enough to dissipate her anger but it seemed to only fuel it more. I got another earful as we were driving to her friend’s house who we were collecting and taking with us to the first half of tonight’s event, and whose husband would be meeting us after he gets off from work. “Do you want me to prove it?” She asked. I said, “no need to prove it like you prove it to everyone else who fights with you.” And the microphone was metaphorically dropped from my hand and hit a metaphorical stage. It didn’t even slow her down. Now I should have stopped the car and turned back towards her house, got back into my truck, which was still to be unloaded, and headed back home to a peaceful and relaxing atmosphere. After all, that was the safe word we established that either one of us could utter without defending our reasoning if deployed before 19 months from the time we entered our exclusive dating timeframe. But instead I looked into her face and read it as an insincere utterance of the established safe word. So instead of stopping, I presumed the direction to her friend’s house and remained quiet. She also remained quiet other than the occasional turning directions, which I already knew since this wasn’t my first time to this particular friend’s house. I continued to remain quiet and stayed in my own world still deciding if I should walk away from this maddening one sided conversation and accept her raising of the “Macaroni” flag of freedom. We reached her friend’s house and she got out to let her friend know we were there. I needed some air and walked half a block down the street in the direction from which we came and took some deep breaths. I needed something to take me to a different place and luckily found a house for sale that had fliers with pictures of the inside of the house and other information about it. I wasn’t interested but I needed something else to read or put into my brain other than the ridiculous argument that just occurred. I guess you cannot call it an actual argument if I didn’t contribute to it. It was more of a hissy fit on her part and I was the unwilling recipient. I walked back to the direction of her friend’s house hoping that they would emerge from the front door and we could be on our way. But as luck would have it, they didn’t, so I walked to the door as if nothing had happened holding the flier I was fake reading when the door opened. I’ve been married before and have had previous relationships where you fake happiness so no one knows that there was a squabble. “Hello there,” I greeted her friend’s young daughter as I entered through the doorway fake reading the flier I held out in front of me in an arms length away looking as if I were enthralled with whatever information was on the flier. “How much is it?” Asked her friend to which I quickly responded with the price using an unemotional tone.” And it’s a little over 1400 square feet” I added. We talked more about other houses in the neighborhood for a few more minutes before heading to our first destination of the evening. As usual I found my parking at the front of the establishment and we three walked into the place. I knew the argument was put on hold until after the evening and we would be back in a domain that were more private. So for the time being, I enjoyed the non-argumentative surroundings and mingled with her other coworkers and their husbands and dates. 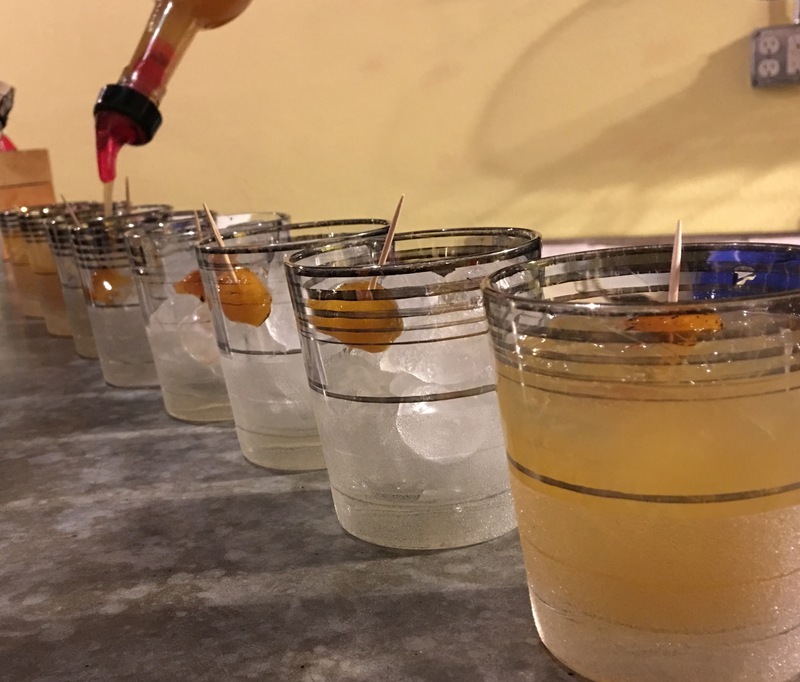 Now I’ve never been to a soirée where you sampled hard liquor like gin, rum, syrups, and bitters and how each is used in the making of various cocktail drinks. So this was new to me and apparently to S as well. The owner of the establishment was very informative about each of the drinks she made and how she came about creating each of the concoctions. She perfected her cocktails as I had with my food dishes which were via trial and error. 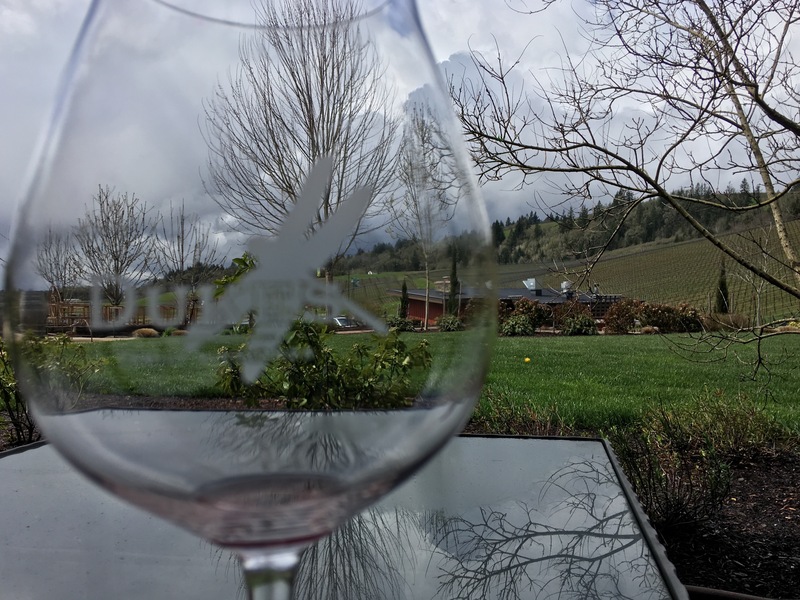 She started her business with making jams and jellies but eventually evolved it into liquors and created a niche in the middle of wine country as being the only liquor tasting room. She’s been in this industry for almost two decades and she loves it. Something I want to aspire to – loving what I do for a living. Two thirds of the way through the soirée, S whispered she was sorry. “Was she really sorry, or was it the booze talking?” I thought as she uttered words seldom, wait…never is a more appropriate word, have emerged out of her mouth since I’ve been dating her. “I’m sorry” is not a phrase that gets emitted from the lips of a control freak. I didn’t say anything but returned a smile, more like a smirky smile as I wasn’t sure how much of the apology was real. I’ll find out later of course. After the last cocktail, I had gathered some of the jellies created by the owner and paid for my selection. S picked out some samples as well that were already included in the package that came with the event. The group walked across the street to a French inspired restaurant where we partook in a three course meal and continued visiting with her colleagues. By the time we were done with dinner, it was late (about 10pm) and I was ready to go to bed with the assumption that our plans for tomorrow were intact. If so, I had a Texas party to cook for on the next day. On the way to S’s house, S was normal and even commented on the fun she had. Then she did her normal critiquing of the food dishes. 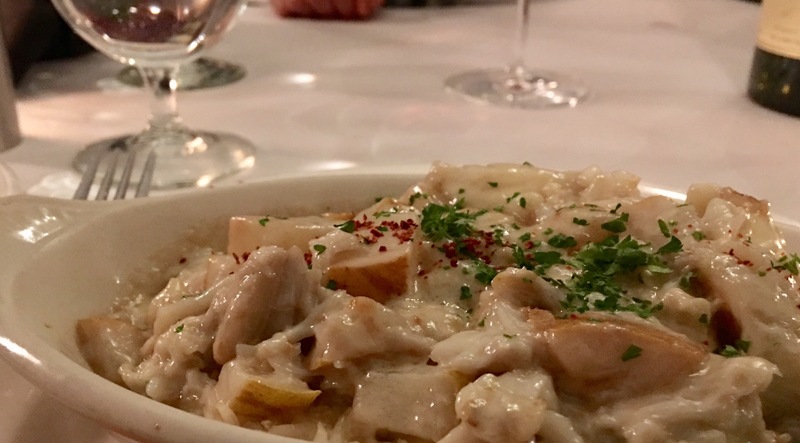 I had to admit I also had to critique my meal as I wasn’t inspired to return to the restaurant as my meal wasn’t as tasty as I would have imagined a French inspired restaurant would be. I was a bit disappointed with the main course. About 15 minutes later, we were at her house and I decided to see the rest of the weekend through and not throw in the towel as of yet. I probably should as when we were laying in bed, she started in again and began explaining her rationale about her feelings. She said she felt like she was my secretary that she has to remind me of our plans constantly. I had a fleeting thought that if she were my secretary, I would have been better prepared for the evening events but I wasn’t. So check she wasn’t my secretary and if she were she wasn’t really good at it. “I again apologized that I didn’t write the plan in my calendars.” I repeated. “And you’re not a secretary,” I added. It’s a good thing I was coherent enough to not insert the adjective “good” before secretary. She drifted off to sleep as I laid awake several hours thinking about the afternoon and contemplating if the relationship would actually last. I finally fell asleep. The next morning, I woke up early as it was a full day of preparing the meat that would have otherwise been completed the night before had we not had plans that were not on my calendar. By the time S arose from her slumber and ventured into the kitchen in search of coffee, I had completed removing the unwanted fat from a couple of skirt steaks and were processing the next skirt steak. I told her to just rest and I’ll take care of everything for the party. She was also still recovering from a cold and since she didn’t want to cancel tonight’s party, she needed her rest. She watched TV as I continued my prep work on the main protein for tonight’s party. I was done by about 10:30am. I knew she would be hungry but I still had to go to the store and pick up other ingredients. We settled on a hamburger from a local hole in the wall but good tasting burger joint not too far from her house. On my way back from the grocery store, I stopped off and picked up or lunches. One of her children were home but she didn’t order his lunch. Sad but I was too busy to run back out to get him something. He declined my offer of half my burger so I guess he wasn’t hungry yet. The guests were scheduled to arrive between 6 and 6:30 with dinner at 7. I had everything ready by 7 and we all sat down to eat. Folks loved the spiciness of the steak, chicken, and shrimp fajitas as well as my Spanish rice and frioles a la charra (bean soup). I also made the traditional Tex-Mex spicy cheese dip, pico de gallo, and spicy guacamole for them to snack on while waiting for the dinner. Her friend brought pico also which I liked better than mine. All her guests were done and out of the house a little before midnight. The ladies loaded the dishwasher before leaving and I decided to leave the remainder of the dishes alone and to tackle them in the morning as I would be awake before everyone would be anyways. It’ll be my alone time to enjoy the peace and quiet of a Sunday morning. Not withstanding S’s utterance of the safe word, I had definite opportunities to walk away from this relationship at the ending of the 9th week as the fighting lasted far too long and was enough to say “I’m done” with no regrets and no looking in the rear view mirror. But I know deep down S isn’t a bad person, she just has control issues that cloud her judgment and makes her world tumultuous when it doesn’t have to be. If things continue down this path, it’s only a matter of time before I’m going to weary and be completely disengaged at which time I’ll have to leave so as to remain true to myself. Thursday of the 7th week, I reached a stopping point of my personal projects which meant I still had a few hours to go to prepare for the upcoming weekend with S. I knew I couldn’t have everything done, so I multi tasked and was packing for my weekend while I continued on my person project work. The weekend was crammed full of events so I had to appropriately pack several and varying attire for each venue. The first was a concert to one of the bands that S loved. On the following day, we had a chocolate and wine pairing event hosted by one of the wine clubs to which S belonged. 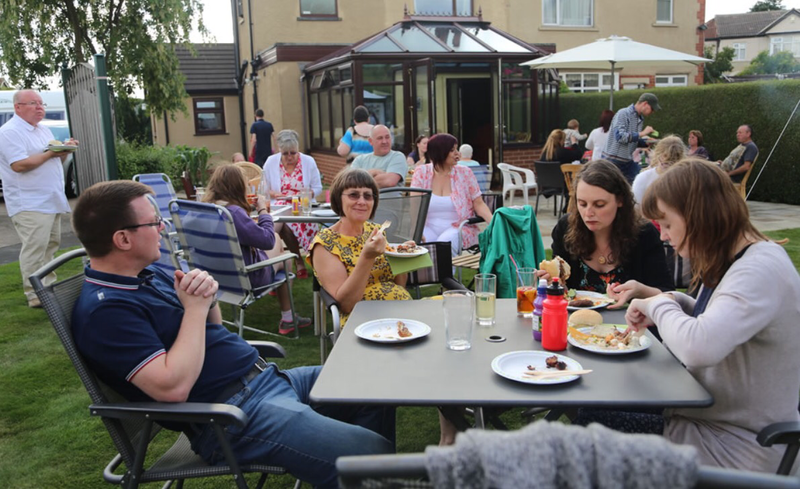 This event was one of the wine club’s ‘member appreciation day’. Later that Saturday evening, I had made reservations to a nice and local restaurant to celebrate our one year anniversary and our upcoming birthdays. And finally on Sunday, my secret plan was to take S on a personal shopping experience of getting her iWatch. We later named the two weeks as our ‘annibirthary’. Of all the events planned, I was looking forward to the last one because for one, it’s a secret and S doesn’t know she would be picking out her personal gift. And two, I like seeing people’s expressions when they get a surprise gift – I couldn’t wait for her surprise. By 1AM Thursday (probably closer to 2AM), I had completed the things I needed to do, which only left a couple of hours for some shut eye. “I’m going to be dead tomorrow,” I whispered out loud to myself as I crawled into bed. Five minutes later, or that’s what it felt like, my alarm was buzzing and the time was showing 4:30AM. “Yep! I’m going to be dead today and don’t know how I’ll function tonight as I’ve got to go to that concert with S,” I scolded myself. I hit snooze and drifted off for a few more seconds until my alarm sounded again after another 9 minutes had lapsed. I repeated the process and hit the snooze button again taking in my few seconds of power naps between the rude yet helpful “wake up! It’s morning! You’re going to be late!” alarm. I finally fueled up from the power napping after about five snoozes later. Good thing I live close to my “bobbing in the sea of life” job that I could have snoozed a couple of more times. “I need coffee and lots of it”, I whispered to myself as stumbled into my kitchen. It only took a few sips of my espresso to awaken me to a full functional state. “I can do this! It’s Friday!” I exclaimed, which in reality was more of a somber statement and not as enthusiastic as what I had really needed. In reality, I just wanted to crawl back in bed and sleep for another half day. Luckily I pushed through last night to get everything packed and to which I had the fortitude to have laid out my attire for today, which would also be the same attire I would wear to the concert later that night. I’m glad my alter ego laid out my clothing for this morning so I didn’t have to think about it. I left my day job about 8 hours later (about 3pm), which was a lot earlier than I normal do so that I could swing by my house and pick up my bags for the weekend. I thought about changing my attire but opted to remain in the same clothes I had worn to work. My attire was fine but hindsight I would have changed as I was wearing khakis, a hooded jacket, and tennis shoes that matched the color of my jacket. Most folks at the concert were dressed about the same comfort level as I was so I was fine clothing wise. I just don’t normally dawn a super casual outfit for going out and about on a date night. Now I’ve been with S for a little over a year, and I’m beginning to understand the tea leaves for when our date would be a good date and when it wouldn’t. Tonight started a little rocky as she was non jokingly shaming me on my luck for finding prestigious parking. I hoped it would quietly slip into the night, but it didn’t. There were a few more jabs on her part as we ate at the restaurant across the street and opposite the concert hall to which we would enter and be seated within an hour listening to a band she claims as one of her favorites. During dinner, S continued her typical slide into her “I’m in a bitchy mood and you’re going to sit there and listen to it” zone. My last attempt to snap her out of this unpleasantness was trying to be a gentleman and offered her the last of the appetizers that remained in front of us on our table. I said nothing and picked up the last of the food in front of us and finished the remainder without acknowledging anything she had said and left her in the open, awkwardness of the space she put between us. After she finished her rant, I continued my silent eating and didn’t respond and just sat there and finished off every tiny morsel of the appetizers and continued to let her wallow in that awkward space a while longer. From her prior rants, I learned not to venture into her emotionally negative tail spins with her. It’s her invitation to argue and I wasn’t going to do it. She finally commented, “I wanted that last bite.” to which I mumbled as I swallowed the last bite “nope I’m no longer a gentleman and I’m not sharing.” She smiled and commented that I was funny. 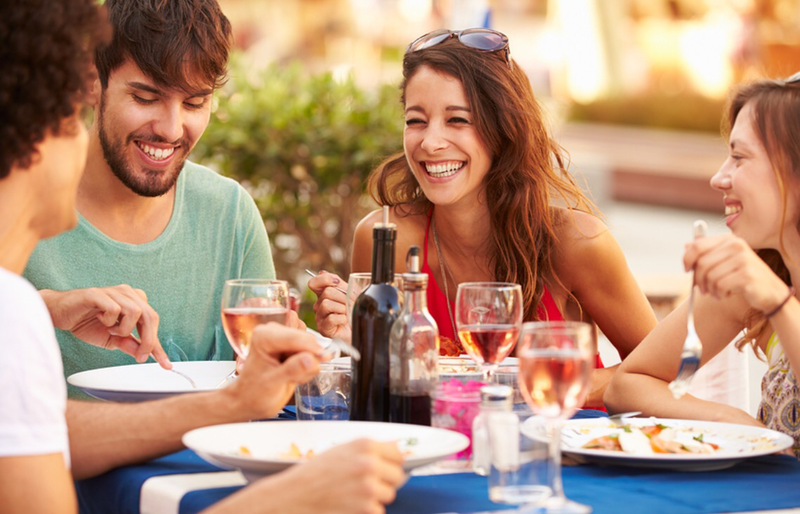 Now I could have paid the bill and just left her there at the restaurant and went back home, but I didn’t as I knew that this emotional tailspin was not about me but about her struggle with control. Remember the post I posted a few weeks prior about our discussion where I learned more about her power struggle? At that time and still is for now, I’ve decided to continue playing for a little longer. How much longer is the question to yet be answered. The rest of the night was fine as we both enjoyed the concert. The opening band (Con Brio) was out of San Francisco and played nonstop for 45 minutes. It was a great opening act. The featured band (The Revivalists), who S claimed were one of her favorites, played for 1.5 hours. The concert ended around 11:30PM and we still had another hour drive to S house. The next morning I stayed in bed way past my “up before dawn still dark outside” typical get out of bed time. And I had continued this laziness well into the next hour after I did arise from my ‘lack of sleep from the night before’ rest. S was up making us both coffee as I came downstairs. She appeared to be in her ‘none power struggle’ demeanor. In a few hours we would go out for breakfast and later proceed to our chocolate and wine tasting event. I’ve not been to a wine and chocolate tasting before but basically a wine gets paired with a locally made chocolate. The chef was the one who made the chocolate and the wine pourers were the folks who help paired the wine with the chocolate. This was a great experience trying something new. This was also S’s first time at a wine and chocolate tasting. The remainder of the day was pleasant with a calm and peaceful afternoon as we meandered and discovered a new to us BBQ place whose owner hails from Dallas Texas. S invited one of her best friends, and her best friend’s husband, to join us. We sat and visited without any control issues coming to the surface. S and I were both filled from the BBQ restaurant that we decided to cancel the fancy dinner reservations and save that experience when our bellies were not as full. The next day after I made us breakfast and washed our morning breakfast dishes, we got ready and ventured out to get her surprise. I anticipated that it would be a great day with no squabbling as it was a day focused on her, which she didn’t know yet. On the trip to our afternoon destination, I gave her a heads up that she would need to make a decision. She confessed that she thought we were going car shopping for me as I’ve been looking to get a different car, but her making a decision was a wrinkle in that thought. She tried guessing but I told her that even if she guessed it correctly, I would deny it. We reached our destination, an outside mall called Bridgeport Village. We walked to the placard that showed “you are here” and found the destination store, of which I only made a mental note and didn’t say it out loud. We approached the Apple Store and she couldn’t believe it. Her smile was priceless. Three hours later, we walked out with her “annibirthary” gift – her personal iWatch. She took a second and was fine. Monday was a holiday for a lot of folks, which unfortunately, my employer was not part of the companies that gave Presidents’ Day off to its employees. Because I spent the Sunday night at S, I commuted to work the second Monday in a row. This time around, the total trip time was a little shorter and I reached my office a few minutes before 8AM. The rest of the week was again focused on my personal projects. But I did spend most of the time on the phone on Wednesday with S as that was her birthday. Why do I select women who have internal power struggles? I must like the challenge or else I would be attracted to just those Barbie type women with no real substance other than their outer appearances. Instead I’m drawn to women struggling with their inner conflicts. Of course the latter isn’t discovered until months of dating. But then why do I stay after the inner struggle issues had surfaced. More for me to figure out. Until next time, stay safe online and offline. This past week was mainly focused on my personal projects which meant that my evenings were me being at home and working on my exit strategy from corporate life. Last Sunday, I had spent the night at S and commuted to work on Monday, which was an hour a way travel time. Since I hadn’t commuted from S’s house to work before, I was unfamiliar with traffic patterns and other possible obstacles that would have elongated the commute time. Fortunately, the commute was uneventful and I reached my office a little over an hour later but much earlier than I had been from my short drive from my own house. The drive from S’s house wasn’t as bad as I had imagined and it’s probably due to not many slower drivers encountered along the way. Because I focused on my personal projects for most of the week, my texting time with S during the week were shorter and my midweek S had sent a text indicating that she felt I were more distant and began questioning if we were okay, which of course made me roll my eyes literally and figuratively. Luckily this conversation happened over text and S were not physically there with me to see my eye rolling. “Are you that insecure?” I thought to myself. Of course I didn’t reply with that phrase as I’m positive that would have opened wider the apparently already partially opened Pandora’s box. Instead I replied, “I think we’re fine”, which was truly how I felt about our place in our relationship. After a few more confirmation texts were exchanged, she admitted her active imagination were driving her insecurities about us. Hmmm…another personality trait to ponder. I like an independent woman who’s strong and secure in her own space. This incident gives me a little more pause and added it to my mental list of observations to consider should I decide to continue to the next level of whatever this is. I refocused the rest of the week back to my personal projects with the goal of reaching a stopping point by Thursday night as the coming weekend were full of activities with S starting Friday night and going through to Sunday with me spending Sunday night again at S’s house, which meant another long commute on Monday morning. The prior week when I was feeling experimental in the kitchen, I had cooked seven dishes that were perfect for my food blog. I picked five of those dishes for posting on my food blog. I’ve completed about six previous blog posts and I’ve finally got a semblance of a process that’s somewhat streamlined. Instead of 20+ hours to get one blog out (or scheduled), the process is only taking about 10 or so hours for one. I’m not just taking the pictures and videos, but I’m also writing the story that includes the background and how the dish originated. I’m also producing the mini movies by connecting all the interactive individual cooking / prepping videos as well as finding the right background music and finally the voice dubbing that gets overlaid on top. Maybe by doing the five dishes from last week all together, the process would be even faster. Now that the food blogging is officially launched and it’s just a requirement of operational sustainability, I’ve begun working on another personal project that is in the same vein and focus for me exiting the corporate world. This one I’m equally passionate about, and I know this is a teaser, but I’ll reveal more of it as it moves along to its launch. As you may have gathered by my prior posting, I live a very comfortable lifestyle and I would like to continue living the same lifestyle when I leave the normal 9 to 5 ‘working to live’, “everybody’s doing it” rat race. In order to do that, I have got to put in extra time to build up that infrastructure to support my accustomed lifestyle. I am also a big believer that your household should have multiple streams of income regardless if your partnered with someone domestically or if you’re a single individual as myself. I’ve had this philosophy since I was a teenager. I know I’m weird, but I feel it’s hedging against the inevitable where something would happen to your primary source of income, which then puts tremendous stress on finding a new source of income. Could I monetize my food blog? That’s my eventual goal, but I’ve got to lay down the foundation and establish credibility. The same for my next projects that I’ve got lined up to undertake this year, and the following years. I find as I continue to learn (even at my age), I need to reinvent myself. When I do leave the corporate life, my goal is to have three to five streams of income which combined would not only equal my current intake, but surpass it tenfold. Last weekend was the annual Portland seafood and wine festival where S and I had our first official date a year ago and where I told the story of her literally falling (for me). Well she didn’t fall for me emotionally, we were walking on a section of sidewalk that were made uneven by the roots of the nearby tree, and she didn’t see the unevenness of the sidewalk and fell. You can read that post here. This past weekend, S was still recovering from her cold and I was feeling experimental in the kitchen so I proposed we have our own version of the seafood and wine festival. My proposal was for me to cook and for her to sample. She was ecstatic with the idea and so was I. In addition to our seafood and wine feast, that weekend would be the first Sunday sleepover which meant I would be commuting to work from her house. That part I was not looking forward to as prior to my moving to my current house, my typical commute took one and a half hours one way. That’s three hours of driving in one day. Luckily this commute will only be one way. On Saturday morning I ventured to my favorite Asian market and purchased the ingredients for my seafood menu which consisted of steamer clams, shrimp, squid (for calamari), oysters, Dungeness crabs, and of course the jalapeño peppers, Serrano peppers, and the aromatics of yellow onions, green onions, garlic, and ginger. 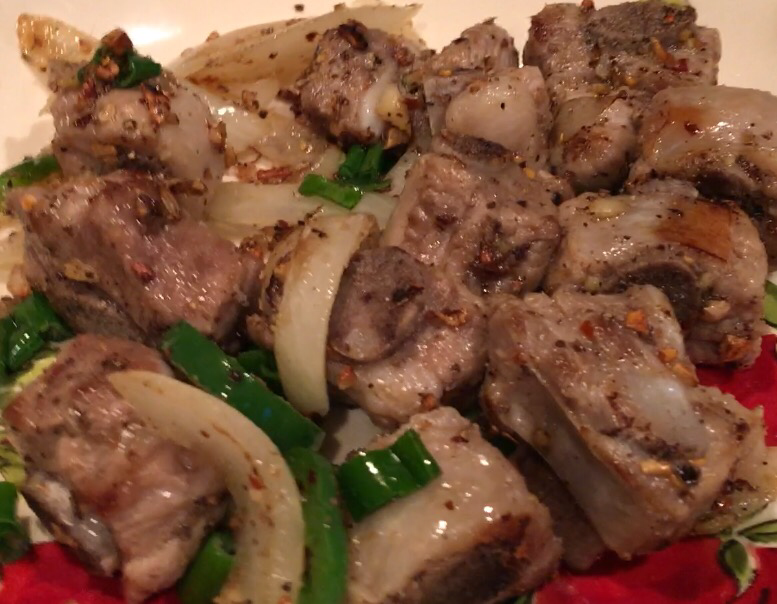 I also visited another Asian market to get a non seafood protein (pork short ribs). S picked four wines for us to pair with our feast – a Pinot Noir, a Syrah, a Pinot Gris, and a Chardonnay. The creative process I prefer when I’m on one of my experimental rants is to cook in small batches and tweak the proportions of the spices and ingredients with each subsequent batch having the end result of a dish that I’ll add to my list of favored recipes. S was on board and welcomed the idea of batch grazing. It also played into her love of critiquing as she has an opinion of almost everything. I think we’ll be good as long as I don’t ask her about things she has to deeply ponder where her go to response is my pet peeve phrase of hers “I don’t know”. I think the cooking experience wouldn’t warrant the utterance of this phrase. I’ve made this before, so I’m not tweaking my seafood boil recipe. This is just for snacking and for the base of my steamer clams recipe. My typical seasoning for boiling crab is a spicy Cajun mix consisting of cayenne, salt, pepper, garlic powder, onion powder, bay leaves, and lemons. Once the water becomes a rolling boil, I add the crabs and continue cooking them for 20 minutes, then afterwards, drain them, and let them rest another 15 minutes before I clean them. 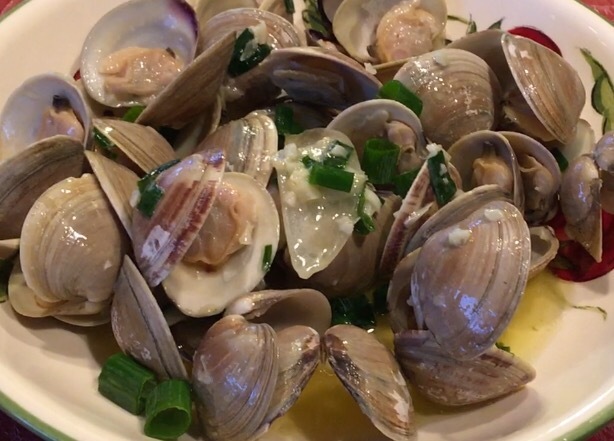 Now prior to this past weekend, I’ve only made the traditional steamer clams that I learned from my mother which was just cooking them in a garlic butter sauce. For my fist batch, I wanted to completely change the steaming process. I cleaned the crab and instead of discarding the shell and the innards of the crab, I put them into the stock pot that would be lightly boiled and would be used in the steaming process. To this steam pot, I added the discards of the onion (onion skins and roots), jalapeño stems, garlic skins, ginger skins, bay leaf and vegetable stock. I should have used the same water I cooked the crab in but didn’t think about that until I had already poured it into the sink. “Next time I’ll do that”, I mumbled to myself. I covered this steam pot with the steamer tray full of clams and let the aromas from the steam pot cook the steamer clams. In a separate pan I melted butter and added green onions, fresh ginger, fresh garlic, and red pepper flakes. Once the clams opened, I added them to the butter mixture and stirred them in the mixture until they were fully coated before plating them and serving them to S for her critique. The only noise S emitted were groans of deliciousness. We paired them with the Pinot Gris. She said, “don’t change anything! It’s perfect as it is!” After we devoured the steamers, S dipped the crab in the buttery mixture and thought it was equally complimentary to the sweetness of the crab. So no tweaking was needed thus far and since the base ingredients of onions, garlic, ginger, salt and pepper, and jalapeño were the common theme, it was easy to move to the next dish. Now this one would be truly an experiment as my mother hardly, correction, never (that I could remember) ever cooked oysters when I was growing up. My first batch was a flop aesthetically and the flavor profile were somewhat missing the mark as well. It was better than her mother’s oyster recipe. She bragged to her mom (the next day) that her oysters had serious competition. As this was my first time making this, I’m not ready to lay claim that my version was better. After making it a few more times (with consistency) then perhaps, but not just yet. The next dish was the only non seafood item. Now I had made this dish before, but it hadn’t been taken through the vetting process. So I decided to make it again and get an honest critique. To my surprise, S liked this dish as well and had no criticism or changes to be made. So I guess I got my answer that the current process in making this dish is solid and is a recipe to save. The next dish was the fried calamari which is a typical appetizer on most restaurant menus and is one of my favorite items to try out when I’m dining outside my kitchen. So far, the flavor profile I make is still uniquely different than what you get at the restaurants and after serving it to S, her facial and vocal enjoyment was supportive of my own conclusions. So I guess that dish is ready to be placed in my favored set of recipes. 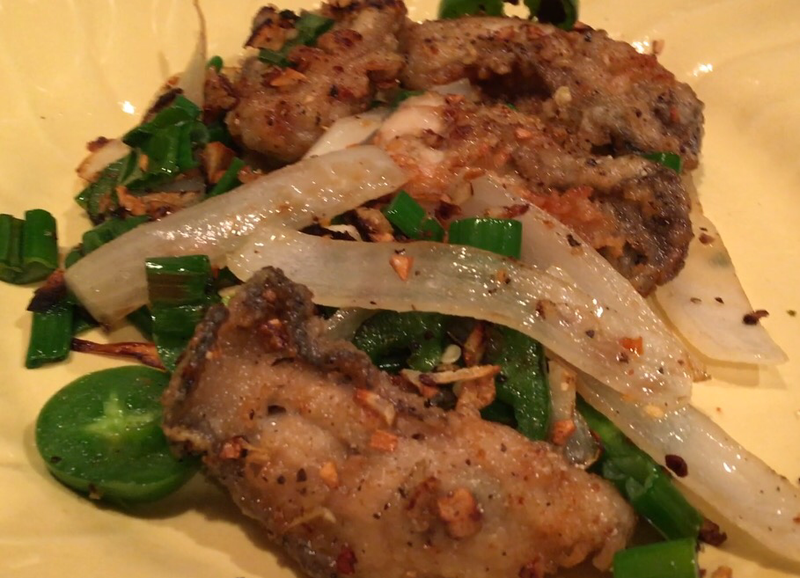 The sixth and final dish…crispy spicy salt and pepper shrimp. 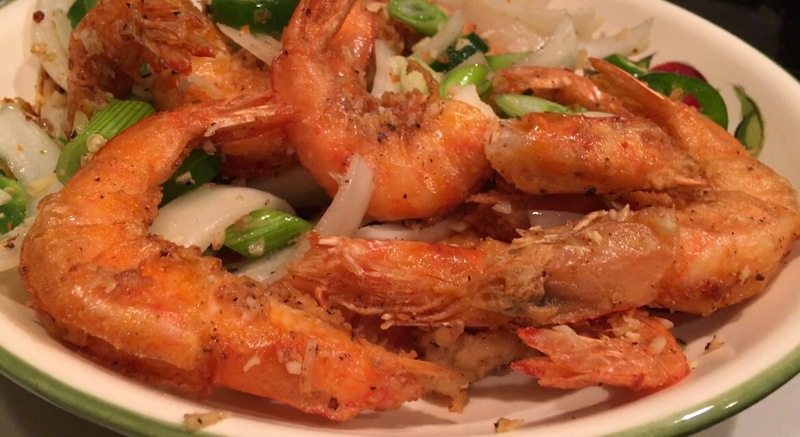 In my prior attempts in making this dish, I wasn’t satisfied as the cooking process was not getting the crispness of the shrimp where I wanted it. This is also an experiment not with the flavor profile but with the cooking process. I decided to use the same cooking process as I did for the second batch of oysters. The results were the way I had envisioned it and the crispness remained throughout the cooking process as I had wanted. As you may know through my prior posts, I’m Asian and in Asian families, when shrimp is cooked, we use the whole shrimp (heads and all). Now depending on the size of the shrimp, we may (not on all occasions) bother with the removal of the vein that runs along the spine of the shrimp. But other that that, we eat the whole shrimp. For S and since these were the medium variety (42-50s), I tried the Asian approach by deveining but leaving the head and tails. I also clipped the horn and eyes and trimmed the legs, which otherwise, if cooking for my family or for other Asian guests, I would have left those on as they become crunchy during the cooking process. This dish did get criticism, as already anticipated, to not have the skins or the heads presented. So basically, S would like it prepared like what you get in restaurants. S invited another teacher friend and her husband over to join us during the making of the sixth dish and they too had the same comments. Duly noted that when serving this dish for non Asian guests, the shrimp would need extra preparation in the removal of the heads and skins. It was getting late in the evening an I was getting tired so that version would have to wait for next time. I had been prepping and cooking since 1 in the afternoon and finished the last dish around 10:30 PM. I was exhausted and didn’t do my normal clean up and left them for the morning. The next morning, I got up early and cleaned my kitchen mess and was just drying off the last dish when S came downstairs. With eyes dancing with joy, she exclaimed, “Wow! My kitchen fairy cleaned the kitchen! Thank you.” and gave me a morning kiss. It was a great one year anniversary of our first official date! After making the personal seafood and wine date, I realized I could kill two birds with one stone and use this time to also video the preparation and cooking of these dishes as well as photograph the final product for my blog site. I mentioned it to S and she was fine with it. So I’ve got six more dishes I will be adding to my food blog. This past week was the one year anniversary of my meeting S at a speed date event. If you’re still single and you want an adventure, try speed dating. It’s a place to meet a lot (15-20) of people at one event who you could possibly have an actual date with after the event. The lot of women I met that week a year ago were, for the most part, very interesting and each were different and had something interesting to talk about. So who knows, you possibly could find someone who clicks with you. No deep discussions this week as I think the deep conversations we had the week prior were enough. That’s the case for me anyway. Instead we did partake in a cooking date surrounded around the theme of Chinese New Year. It was a great date as we actually cooked with another couple. One thing that’s becoming more evident is that if we are out and away from her kids or family setting, S is not as intense. Maybe it’s because her guard is down. I’m just speculating as I didn’t ask her. And I probably won’t as I can already see that could be a touchy conversation topic. I did play nurse this past weekend as she wasn’t feeling well. Like a good boyfriend, I made her turmeric tea and took care of the cooking and chauffeuring her twins from their house to their friends house and back. It gave me time to spend with her younger son, who isn’t as bad if he’s not dealing with his mom. I also made dinner for all of us while the kids studied for their finals, and S was sleeping off her cold. After dinner I cleaned up my mess in the kitchen while S dropped her younger son at a friend’s house to complete their final exam project for his marketing class. I don’t remember having marketing classes in high school. What kids are learning today are amazing and preparing them for the higher paying corporate jobs. Back in my day, the only preparation for adulthood was the home education class that I did not take as I had already leaned the basics of the kitchen from my mom and vocational programs like woodworking and auto mechanics. After S returned, I sat with her a few minutes before I started to pack and go home. Apparently she was shocked that I was leaving to go home as she thought I would spend the night and just head into the office in the morning. “I don’t remember committing to that,” I said. “We talked about it but I don’t remember saying that was the plan,” I continued. She came back, “we talked about it and you said you’d try it.” I guess trying it means “yes” in her mind. I guess I need to watch what I say and apparently confirm that she heard what I say. Just for the record, I’m not in that place where I’m ready to give up my personal living space at least for the next few years. I love living on my own and in my own space. Wonder how that conversation would go when I mention that to her as I think she’s progressing faster to the cohabitation land of whoa. I did agree, for the coming weekend, I’ll stay over on Sunday night and commute to work from her house Monday morning. I’m already dreading it as she lives an hour away. My new cooking blog will be official with my launch date on Wednesday, February 1st. I’m not spending any funds on marketing just yet and relying on the various social networks to increase traffic to my new site. Unfortunately I’m not adding the link here as this blog keeps my identity anonymous. By adding the link, I lose my anonymity. As I mentioned in a prior post, I’m still nursing my left knee back to health as I injured it on my ski trip in December. This is a definite detour from my cardio training. My doctor said that I can continue with hiking as long as I wear a knee brace for support but warned to not overtrain as I could prolong the healing. My biggest hurdle at this point is learning to swim as I’m not skilled in this area. I can’t seem to find an adult swim class and when I do, the class schedule does not fit my schedule. So if I can’t find a class soon, I’ll be forced to find a personal trainer. I found a sprint triathlon in July and also one in September which might be a bit cooler than I would like. I’m limiting my sprint triathlon to those where the swimming leg takes place in a swim center as I would rather swim in a pool instead of in a lake. This is just for my safety as there would be lots of eyes on me in a pool just in case I go under.